Locally, Mallard are the most common species of duck. They are sometimes seen in large groups or mixed amongst other ducks in wetlands habitats such as marshes, lakes, rivers, etc. The male is easily identifiable. It has a shiny green head that almost looks metallic in the sunshine, a white ring around the base of the neck, and a brown chest. It has a bright blue patch bordered by black and white stripes on its wing, though this is sometimes hidden inside the folded wing. Its legs are a bright orange. 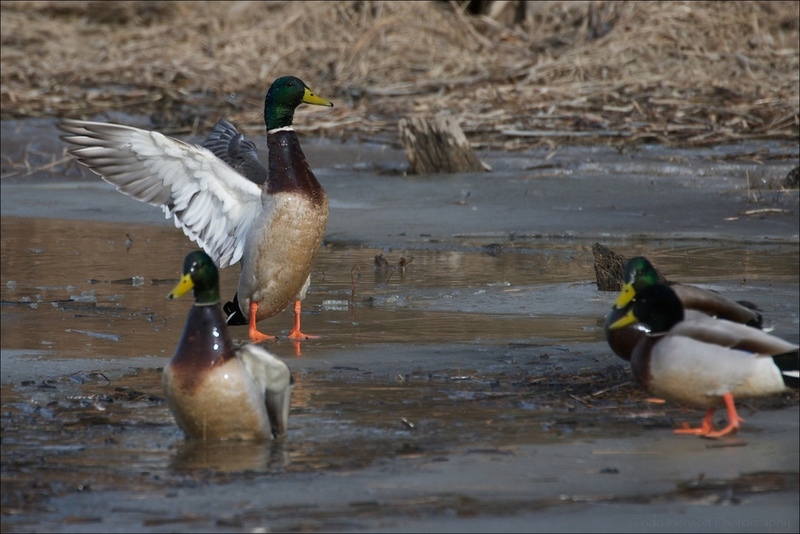 The female Mallard is less easily identifiable, but shares the bright blue patch and black/white stripes on the wings. 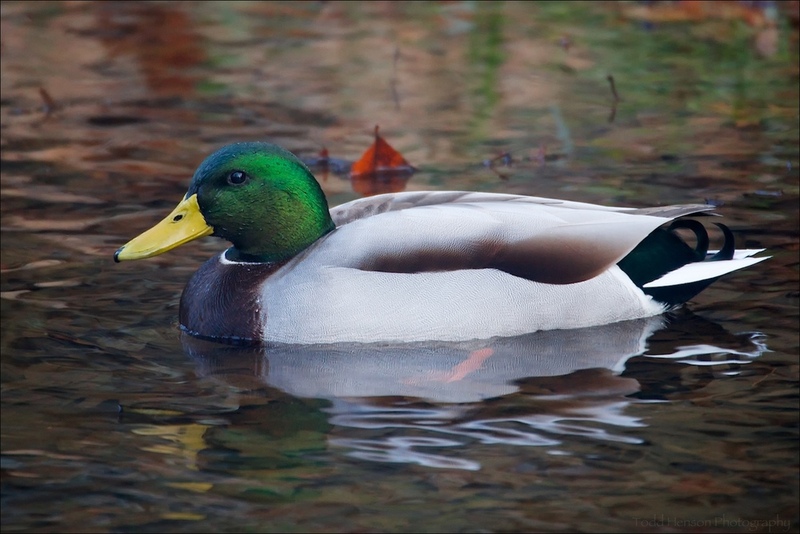 The Mallard is a dabbling duck, feeding somewhat closer to the surface of the water. They will sometimes dunk their head below the surface, raising their tail end into the air, to get to food deeper underwater. 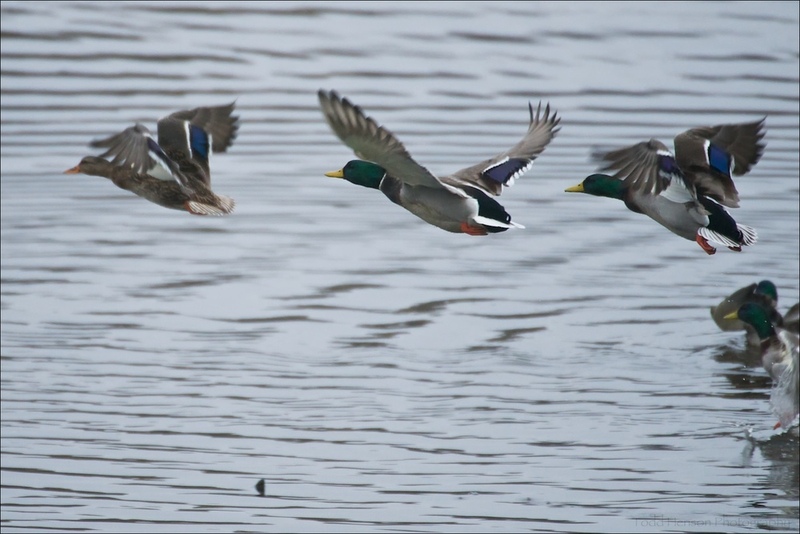 A group of Male Mallard taking flight after a female. The blue patch and black/white stripes on the wings are more easily visible when they are in flight.